Snapchat is getting in the hardware game with these new smart glasses. Introducing Snapchat spectacles, that allows to record 10 second videos. The package includes spectacles, charging case, USB Charging Cable and ghost-shaped cleaning cloth. Snapchat is an image messaging and multimedia application created by Evan Spiegel, Bobby Murphy and Reggie Brown. It is different from other social media such as Facebook and Twitter because the Snapchat lets you post stories in real time. As years passed by, many updates regarding the application have been implemented. 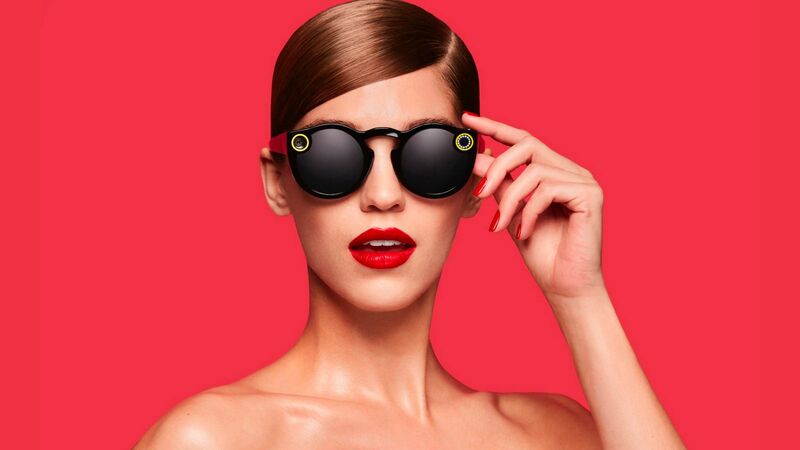 In November 2016, Snapchat published a patent that will be a game changer for the snapchat users, the snapchat spectacles. Spectacles' camera uses a 115-degree-angle lens, wider than a typical smartphone's and much closer to the eyes' natural field of view. The video it records is circular, more like human vision. The software is compatible in both Android and iOS. There are also LED indicators that tells you're in the progress of recording, having low battery, having low storage left, and if the software needs to be upgraded. Who would have thought that smartwatch is not the only accessory that can be connected wirelessly into a smartphone. The possibiliies for Smart glasses are infinite, the world is excited to see more devices like this. Want to know more about this awesome device? Follow this Link!